Salwar Kameez is ethnic attire that has travelled a vast course with several changes and up gradations through ages. Salwar Kameez is a traditional dress favourable for all seasons. An all time hit and loved by women from all strata, age group and flares of life, Indian suits never lose its charm or go out of fashion. For sure, Salwar Kameez blends with the modern style statement and provides the charismatic look. Indian suits are not just a dress for lifetime but it is a bond of generations. The fashion of Salwar Kameez connects us with our roots of tradition, family and also nation. It is a common clothing which your grandparents must had also worn, now you are exploring the beauty of Salwar Kameez and for sure your daughter will someday flaunt in this desi look in some different style that you can be proud of. So, a Salwar Kameez brings all of us on a common platform and connects us through generations. You can never get bored wearing the Indian Suits as it comes in a variety of flavour. You can adjust the length of the Kameez, you might add flares to it, and you can play with its length, sleeve types, neck styles, then comes experimenting with the salwar, it can be tight Churidaar or a Straight Pant or a Patiala Salwar with large and several pleats. You can wear an Indian suit with or without Dupatta. The variety of work from simple to minute meenakari adds to its graceful patterns and prints. The subtle and vibrant colours and a wide range of fabrics all can be the basis of discriminating your one Salwar Kameez with the other one. You can chose the type of Salwar Kameez according to your taste, weather, occasion and body type and still you can have one unique Salwar Kameez option available every time you open your wardrobe. If you like to be dressed as a Punjabi kudi Patiala Salwar Kameez is the best of all for you. The length of the Kameez is usually above knee length and the salwar has large flares with bigger pleats till back. It resembles like a dhoti from the back forming layers. A heavy embroidery dupatta gels awesome with this Indian Suits. You must try Patiala Suits once to feel the sparks. Churidaar Suits are favourite and close to heart of every girl. The tight fitting churidaar resembles the legging in vogue these days. The tight fitting highlights the shape of your body and keeps the body compact. Flaunt your personality in the most comfortable dress Churidaar Suits. Working women are in love with Trousers / Straight Pant Suits as they more or less looks like western wear. The salwar is replaced by the Trouser or Straight Pant which gives an elegant look at work place. 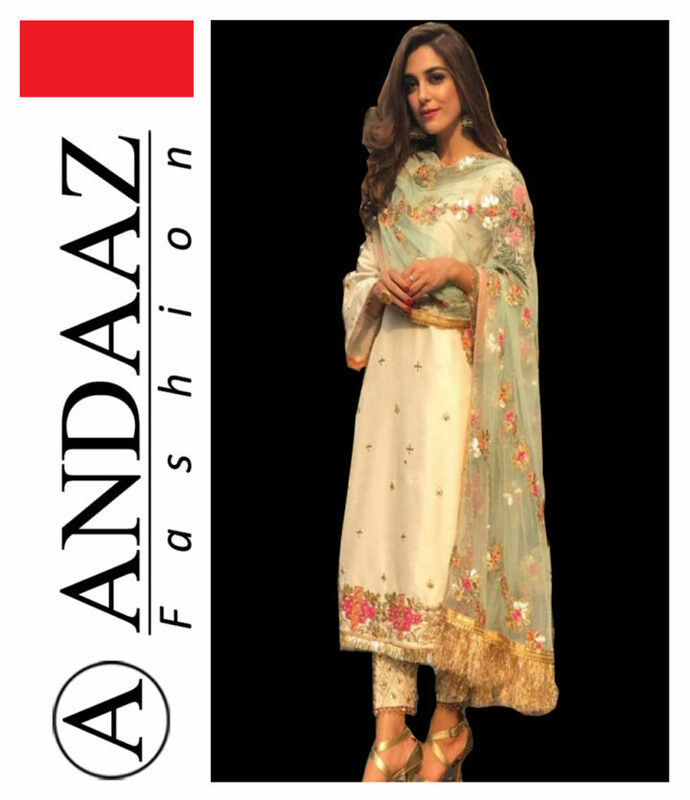 You must try Trousers / Straight Pant Suits from the large collection of Andaaz Fashion online store. Sharara Suits are back in fashion trend these days. Sharara are straight fitted till knee and get loosen downwards. The free flowing Sharara gives you a perfect chic look. If you too want to enjoy the modern babes look try the versatile designs of Sharara Suits at Andaaz Fashion online collection.